Awarded to the boat in the biennial Annapolis to Newport Race with the best corrected time. 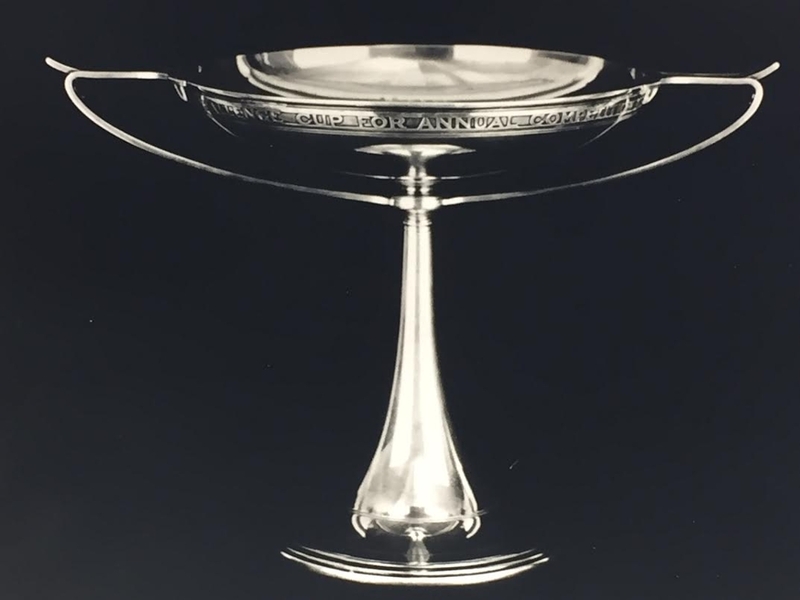 History: The Blue Water Bowl was presented to the U.S. Naval Academy in 1947. 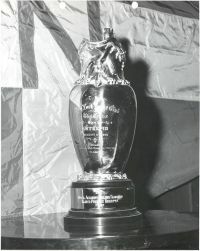 It is awarded by the U.S. Navy to the winning skipper at the end of the race. Awarded annually to the yacht with the best corrected time in the Naval Academy Sailing Squadron annual regatta. History: The Aloha Cup is awarded to the yacht with the best corrected time in the Naval Academy Sailing Squadron’s annual race to Oxford. 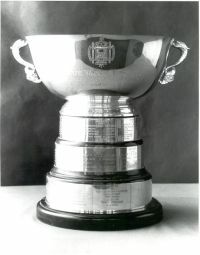 The Aloha Cup is one of four trophies belonging to Lloyd Phoenix that came into the possession of the Naval Academy. Lloyd Phoenix graduated from the US Naval Academy in 1861 and served in the Civil War. He resigned his commission in 1865, went into business, and became a yachting enthusiast. He won the Aloha Cup in an annual cruise of the New York Yacht Club in 1910, sailing his most famous yacht, Intrepid. 1978 Diamond in the Rough 2012 Karen S.
Awarded annually to the Yacht Club and skipper winning the Lloyd Phoenix Regatta. Originally, ten Naval Academy yawls manned by members of nine invited yacht clubs and NASS, sailed a series of races over a two period. Recently, this trophy has been designated as the award for US SAILING's large yacht championship. History: Lloyd Phoenix graduated from the U.S. Naval Academy in 1861 and served in until the Civil War. He resigned his commission in 1865, went into business, and became a yachting enthusiast. He won the Aloha Cup in an annual cruise of the New York Yacht Club in 1910, sailing his most famous yacht, Intrepid. 1965 Gibson Island Yacht Squadron J.R. Wolfe, Jr.
1966 Gibson Island Yacht Squadron J.R. Wolfe, Jr. Awarded annually to the service yacht having the best corrected time in the Annapolis to Newport Yacht Race and the Newport to Bermuda Yacht Race. History: This trophy was given to the Naval Academy by the Commander of the US Atlantic Destroyer Forces. It is awarded annually by the Commander of the Cruiser Destroyer Force. History: The McMillan Cup Regatta is the oldest collegiate sailing event. 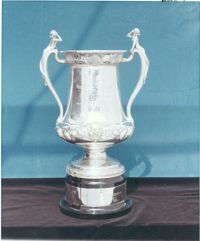 Originally, the McMillan Cup was known as the Oliver Hay Trophy. The latter, was established in 1928 by Mr. Briggs Cunningham as an event to honor a well-known Yale alumnus sailor and was retired in 1930. The McMillan Cup was donated by Mr. Willaim McMillan of Baltimore, MD, but with the understanding that his name not appear on the cup. As the McMillan Cup Regatta was primarily an intercollegiate large yacht racing event for the New England and Middle Atlantic states, it was sailed on the East Coast. Up until 1950, the regattas were held at various sailing centers in New England. After World War II, it became apparent that the competing colleges would have difficulty in obtaining sufficient boats to carry the McMillan Cup and in 1950 the Naval Academy offered their 44' Luders Yawls for Intercollegiate competition. Since that time, the regatta is held annually at the Naval Academy.